Today is H.P. Lovecraft’s 124th Birthday! 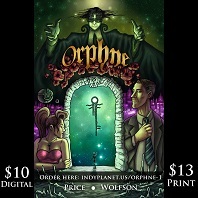 To celebrate, I’m giving away TEN print editions of The Lovecraft eZine. For your chance to win, simply comment below and tell us how you discovered Lovecraftian horror. Good luck! Comment below and tell us how you discovered Lovecraft, and you’ll be automatically entered into the drawing. Gonna celebrate by writing some Lovecraftian sonnets for SPECTRAL REALMS!! Happy Birthday, my Soul-Brother! I heard about him in college and bought the 1970 Beagle paperback of “The Tomb” as a new book in a mall bookstore. The eyeball-in-a-skull cover photo freaked me out so badly I covered up the image with masking tape. I no longer have that copy, but do have another of the same edition, and it doesn’t scare me any more. HPL’s fiction was an immediate influence on my writing and can be detected in my novel Death At The Flea Circus, written 1968-72 and published in 2011. Happy Birthday, Grandpa Theobald! Oops — I didn’t mean to reply to Wilum’s post. My official edited down comment is below, where it belongs. Pardon this clumsiness. I’m rereading the “The Tomb” now. I discovered HPL in a very old anthology: Phil Strong’s “The Other Worlds: 25 Modern Stories of Mysteries and Imagination”. Published in 1942 and discovered by me about thirty years later. Discovered it as a kid, while trying to find more about horror. 🙂 Can’t recall where I did find it, though. My introduction to Mr. HPL was The Shadow Over Innsmouth when I was in college. I was so obsessed I read it twice, back to back. Since that, I’ve read all of his stories, many of his letters, have a tattoo of an elder sign (his original concept of it, the stick) and haven’t stopped obsessing since! Digging through the sci-fi/fantasy/horror section I came upon the Penguin Classics edition. They always have great cover art, and the first story I read was Dagon. 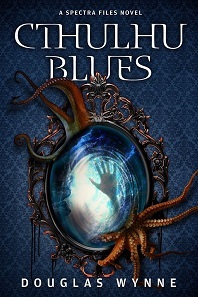 I was hooked, line and sinker, and dragged into the Stygian depths of Lovecraftian madness ever since….. The Music of Erich Zann was the first story I ever read, many years ago, and then I reread it and still reread it. I think it’s his best! I tend to read it when I want to go back to that realm. I think music has a mysterious way of opening up the soul and Lovecraft certainly had that idea in this story as well. I discovered Lovecraft by chance, when a guy I had known for years but had not seen in a while showed up at my door. He had a case of books with him and one of them happened to be Necronomicon. I picked it up because it seemed kind of curious, and then the rest they say is history… A Lovecraftian is born. Back in the day, my parents took away my EC horror comics and took me to a bookstore. To this day, I still revel in the irony. I bought my first Lovecraft compilation when I was a teenager and it was purely based on the cover art! I had no idea what I was getting myself into. Once I began reading, I was hooked. And the word “stygian” is forever in my vocabulary. Awesome Contest! Thanks for the opportunity!! Funny, but I don’t recall how I first encountered HPL purposely. My earliest recollection is discovering The Color Out of Space in some SciFi anthology or other as a child, but I didn’t really focus on the author. 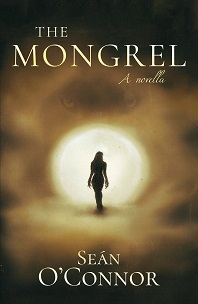 The story stuck with me, but I didn’t say ‘wow, let’s find more by this author now!’. I wasn’t that kind of child. I simply moved on. Over the years I kept getting exposed to Cthulhu references by other authors in their works. Then at some point I looked up Cthulhu and started going through all of HPL as a result. But the exact details of all that are hazy. The villain in a book I read during middle school was obsessed with HPL and the Cthulhu mythos, and the description of the connected worlds and works of HPL thrilled me. That’s where it all started! Happy BDay! I discovered him through the Call of Cthulhu RPG. Even though I never played the game I read about it in the pages of the gaming magazine InQuest back when I was a Magic: The Gathering player. I loved the setting and I eventually found some Lovecraft books and I’ve been a fan ever since. Discovered Lovecraft’s work after playing the Call of Cthulhu roleplaying game ! I quit playing that game but I didn’t quit reading the man. I’ve always been aware of the mythos, but the silent film of COC really made me a hard-core fan. Shadow over Innsmouth was the first story that got me into it. Then, while faithful to one story, the movie Dagon I thought was really well done so I got back in and never looked back! Found HPL as a young boy while searching for a new RPG to play: Chaosium’s Call of Cthulhu. sorry, meant NOT faithful to one story. Oops. Happy Birthday HPL! I discovered the Lovecraft work in the 1990, when I read for the first time “The Color From Space”. Now I’m a big fan! I discovered this awesome site by googling cthulhu because I wanted to know more on the mythos. I discovered him at an early age when I came across an Avon paperback of his stories. I’ve been a fan ever since. Happy Birthday HPL. I’ll take a stroll through his East Side neighborhood in his memory this afternoon. I first came across HPL in junior high – I was a big fan of Stephen King and Clive Barker, and noted at some point that both of them listed HPL as an influence. I found ‘At the Mountains of Madness at the local library and at that point, I was hooked. For he’s a jolly *ahem* good *ahem* fellow! My mum used to read me Lovecraftian tales as a child and I still love them to this day! two things happened around the same time in my rosy youth: 1) I saw a reference to Lovecraft in an rpg sourcebook; 2) a man of dubious intentions gave me a book of Lovecraft stories to peruse. clearly it was fate. I first stumbled into Lovecraft’s work about 20 years ago when, as a middle school student, someone noticed that I was reading a book of short stories by Poe. We engaged in a conversation about horror movies and books and he suggested that I read Call of Cthulhu, which he loaned me that same day. I was instantly hooked and sought out more alongside my new best friend. I discovered Lovecraft years ago in High School when I stumbled on a short story of his I believe was called “The Festival”. I was looking for inspiration for a creative writing project and I found it. We read several stories by Poe in school, and that’s where I started branching out into other writers of the classic horror genre. Our town library had a few Lovecraft books – and once I delved into them I was hooked for life. Stephen King pointed the way, though it took me years to follow up. Silly me, I’d thought it to be antiquated science fiction, and I’d forgotten that he used New England locales that make the work so much more immediate to me here in Western Massachusetts. I was 13 years old and chanced upon the Necronomicon and the name of H.P.Lovecraft in some other, obscure author’s work. After that I tried to get my hands on the works of the great man himself, and his world has ever since been part of my life! 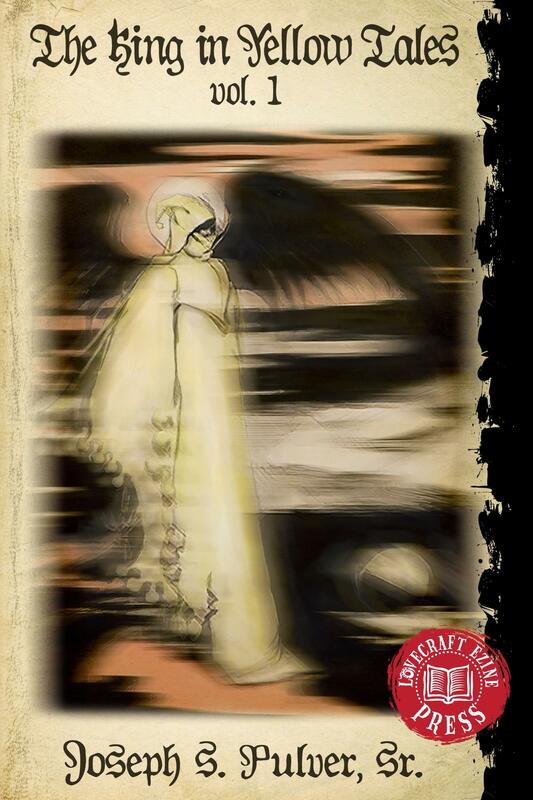 I first read “Out of the aeons” back when I was six years old in a horror story compilation my father had gifted me. It thrilled me in a way few books have done, however, my real fixation with master Lovecraft’s work started at age ten after reading “At the mountains of madness”. Ever since, his works are an essential part of my life. My grandmother had a small book of horror stories, among them was The Outsider and Out of the Aeons, since then I could not stop reading his writings, what a nightmarish childhood it was, would live it a thousand times! Saw THE DUNWICH HORROR at a drive-in in the early 70s and tracked down the author in my school library. In going through a bookstore many years ago, I saw the artwork (Michael Whelan) on The Best of H.P. Lovecraft: Bloodcurdling Tales of Horror and the Macabre. I took it home, read it cover to cover, and have been hooked every since. I am still amazed by how many references to his work I find in pop culture. I first encountered Lovecraft’s world by way of the first printing of the Deities & Demigods book for D&D: the images and descriptions were disturbingly alien and seemed out of place, but of course that only made them more intriguing. Fast forward to my college years, when I began to rent horror films and rediscovered the intriguing world of HPL through the loosely based Lovecraftian films. And while most movies are a far cry from the actual stories, they were a gateway to Lovecraft’s writing for me, and for that, I continue to enjoy the films with a combination of nostalgia and extreme gratitude. I can thank my ex for introducing me to HPL. Even though I was in my 20’s I couldn’t imagine my life without him now. Happy Birthday to someone who has changed my outlook on the wold. Respect and love. It was 1975. I was 19 and working between college semesters at an all you can eat buffet as a dish washer. It was in an East Baltimore Mall located next door to a Waldens book store. One Sunday during a break on the back loading dock a co-worker told me that the dumpster at the loading dock we shared with the book store was filled with paperbacks with the front covers removed. The book store got rid of old stock that way. Amidst the dozens of romance novels was a book with a strange title called “Tales of the Cthuhu Mythos”. I knew of Lovecraft, but not his writings. I was intrigued by the title. I’ve had such lovely nightmares ever since. Upon discovering that there was an author that could be credited for many fond early childhood memories, I tracked down some of Lovecraft’s work, and have been enjoying it ever since. I believe I first heard about Lovecraft in an interview with Stephen King. I want to say it was Danse Macabre, but I can’t be certain. After I heard about him, there was no looking back. I discovered Lovecraft’s works through a roundabout way. Having read the John Carter books with the Michael Whelan covers, I purchased a coffee table book of his art (Whelan) which included his cover work on an anthology of Lovecraft’s so when I found the actual book with the artwork on it, I purchase it and the rest is history so to speak. My brother introduced my obliquely by referring to Cthulhu. Of course I had to research that. I found out about HP Lovecraft during my high school years in the early 80s. My friends and I played lots of pen and paper RPGs. A buddy and I went to the local bookstore to check out what they had before our Saturday evening gaming session. We found the Call of C’thulhu rpg, bought it and played it that very evening. From there, we all started looking for more info on this HP Lovecraft guy. 30 yrs later, I’m still hooked. Back in the late 80’s I was reading a strange counter-cultural magazine, Cultural Correspondence, an issue dedicated to the Surrealists. There was a section on Lovecraft and the Surrealists. “Lovecraft, Surrealism, and Revolution” by Franklin Rosemont, and “HPL and the Black Moom” by French Surrealists Gerard Legrand and Robert Benayoun. There was also an excerpt of Lovecraft’s last letter. I burned all my bridges of “respectable’ literature and searched for all of Lovecraft’s work. i never looked back. Thank you Surrealists! I was first hand At The Mountains Of Madness at age 9 or 10 after finishing Stephen King’s It and being told that King is *not* appropriate for kids my age. It’s all Peter Haining’s fault. In about 1976 I found an anthology called ‘The Ghouls’ which he edited, featuring a number of horror stories which had inspired movies; Langelaans’ ‘The Fly’ was in there, as was Stevenson’s ‘The Body Snatcher’, Bloch’s ‘The Skull of the Marquis de Sade’, Bradbury’s ‘The Fog Horn’, Poe’s ‘The Oblong Box’ – and Lovecraft’s ‘The Colour Out of Space’ (which had spawned a mediocre Karloff vehicle called ‘Die, Monster, Die!’). I devoured most of the book in the course of a long train journey, and loved all the stories (it also introduced me to the work of Bloch and Bradbury), but Lovecraft’s story stood out as completely unlike anything I’d ever read. And so began a kind of fascination with Lovecraft and his ‘mythos’ which persists to this day, when I’m supposedly old enough to know better (or so HPL’s critics would have you believe). Well, I suppose it’s too late for me now. Thanks, Mr Haining. And Mr Lovecraft, of course. Although Lovecraft wasn’t one of them, Peter Haining introduced me to quite a large number of weird writers. 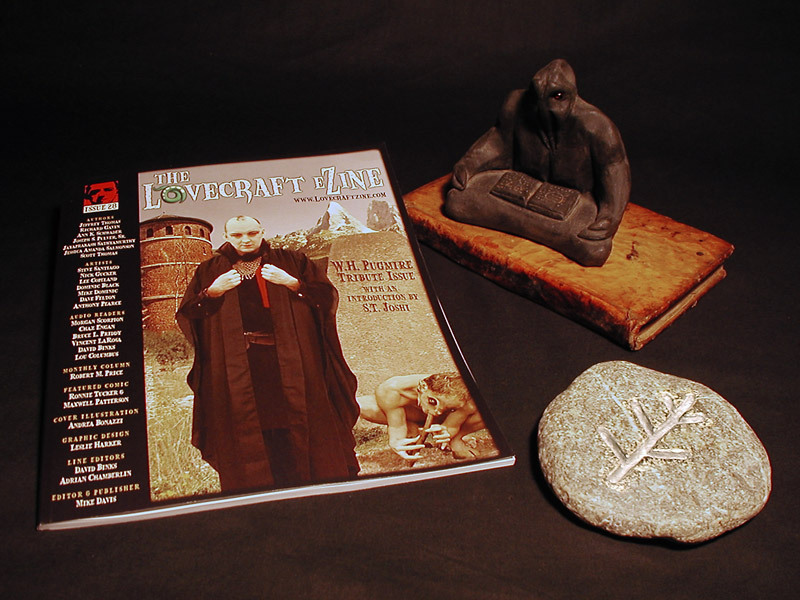 I appreciate the Lovecraft eZine and Mike, whom I found accidently on Facebook in 2013. What began with a reading interest in Lovecraft, which began in High School, has become a hobby of discovery, learning things about the man himself. Thanks Mike for keeping the vision of the eZine going and alive! I’d been circling HPL my entire adolescence but somehow missed actually reading him. I was working at Borders when the Joyce Carol Oates collection came out. A couple years later, I actually bought and read it. And down the shoggoth hole I went! I first discovered Lovecraftian-style horror back when the original Alone in the Dark came out for PC, although at the time I didn’t know that’s what it would have been considered. All I know is that game scared the crap out of me back then. I then learned of the greater Cthulu mythos when he was included as a character in one of the Castlevania games, did some research on it to learn more, and have been hooked on Lovecraft ever since. 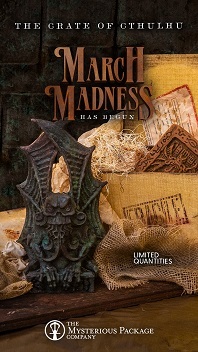 If I win I would love to get either the Halloween issue or the King in yellow issue. I’ve been a gamer and RPGer for years, but have come into HPL’s flock here in my early 50s. Cthulhu is the being that peaked my interest, so I have started reading HPLs works. There’s no turning back now. In a dark forgotten corner of the Rosenberg Library in Galveston Tecas found a scary looking book cover if collected stories when I was 10 years old and have never been the same since. Not gonna lie, been a horror fan in all its forms since I can remember. Been reading horror fiction since Clive Barker’s Books of Blood was published in the U.S. Have never actually read any H. P. Lovecraft until after True Detective was over. Have read just about everything by Lovecraft and have been buying Lovecraftian anthologies and discovering other writers pretty much on a daily basis now. It’s been fun..er… horrifying times! For some reason, I picked up the 1969 Lancer edition of The Dunwich Horror, and have been a fan since. My dad had the 1985 Lovecraft Omnibus 1: At The Mountains of Madness when I was five or six. I used to spend hours looking at the cover. When I was deemed old enough I spent the best part of a month reading as much Lovecraft as I could. I discovered H.P. Lovecraft from a random story in one of my cousin’s books.I really liked the story and i was searching everywhere to find something more to read from him.I bought several books afterwards and by the passing of years i still collect them. When I was four or five, I had a book of monsters and Cthulhu was one of them. [I remember that me and my father were writing a poem about the monsters in the book, and when I tried to rhyme something with “Cthulhu”, my father gave me a weird look. Late last year I rediscovered him and dived into the community. I settled myself in pretty quickly. 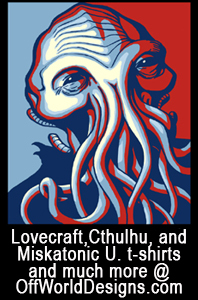 With me it was the nickname Kelthulhu that came before I’d read any HPL. My boyfriend at the time commented that I was “part mythical beast, part 3 year old” and subsequently started calling me Kelthulhu. From there I had to investigate this newly acquired name. I’ve kept the nickname – now because of a lovecraftian obsession that includes of course reading material but also a lovecraftian bedroom, tattoos, clothes etc etc. I discovered Lovecraft’s horror in a copy of The Lurking Fear and Other Stories a friend gave me in high school. I discovered Lovecraftian horror in the darkness beneath the basement when I much, much younger. I first heard about H.P. from various writings of Robert Anton Wilson, but it was really my friend Caroline who was a big fan who finally got me reading the original works – just recently, last few years. And then into some movie interpretations. I was browsing through the very small SF section of a used bookstore when the cover of The Whisperer in Darkness caught my attention. It was only 1$ so my tiny student budget could afford it. I started it on the subway and finished it as soon as I got home. I was completely hooked ! And when I went to bed that night, I couldnt help the fear i felt. I discovered Lovecraft when I discovered this band Septicflesh, they had a song in tribute to Lovecraft entitled “Lovecraft’s Death”. It had many references to stories he has written over the years, and ever since I’ve been a hugely dedicated Lovecraft fan. College Freshman 1969-1970 , picked up a book at independent bookstore. Real creepy ,no screaming nightmares,but pass the book around the floor and some had nightmares.Was at Michigan Tech in upper Northern Michigan , and was from Massachusetts , Springfield. In high school hung out at ” Rockadunde Rd in Hampden near Monson, just North of Connecticut , very much a Lovecraftian setting. I had some of his short stories just laying around that someone gave me so one day I picked one up and started reading and LOVED the stories. Then I had to go on Amazon to find his other stories and have been reading Lovecraftian writings ever since. I was introduced to Lovecraft by my friend Owen Anderson when I was in middle school. He was running a local Call of Cthulhu game that very literally changed my life. HPL was introduced to me by my high school English teacher, about 1985 or so. He loaned (then just let me keep) a paperback collection titled “The Colour Out Of Space” with rather dramatic, colorful cover art. After that, I was thoroughly hooked and combed used book shops in my area for all the HPL I could locate! Sometime back in the early ’80’s, when I was seventeen or eighteen, I first saw the Call of Cthulhu roleplaying game in my local game store. I had no idea what it was about, but I was enthralled by the cover painting featuring some 1920’s investigators outside a creepy old house and I bought it on the recommendation of the store owner. I’d never read anything by Lovecraft, but I immediately ordered the full set of Del Rey paperbacks from my local bookstore and I’ve been hooked ever since. So I have Sandy Peterson to thank for my near life-long fascination with Lovecraft and his mythos. To be perfectly honest, I can’t remember how I first encountered Lovecraft. Being a lover of books from a very young age, Lovecraft is a name that has always been lodged in my subconscious. I have always known his name, it feels like. Though, of course, I have read it or heard it somewhere and sometime. It wasn’t until I was about fourteen that I got hold of a very cheap and tattered paperback containing some of his stories that I actually read anything of his. Been an avid fan ever since. My first meeting with Lovecraft was when I was 15, and I loved it. 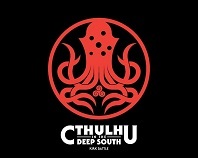 I still love and read Lovecraft and play roleplaying games like call of the Cthulhu and Trail of Cthulhu. And I love his universe and read and make adventures for the roleplaying games my self and buy the adventures for the games. And play trail of Cthulhu as often I can. I was reading a comic book and it was talking about the life and legacy of Lovecraft had left behind for other writers. I was hooked and have been interested in his writing. It has enhanced and pushed me to “step up my own game” when it comes to writing. It’s been 40 years this summer! As an 11 year old with a taste for the macabre, I was irresistibly attracted by the lurid cover art of the Ballantine editions on bookstore shelves at the time – all black with some manner of hideous face on the cover. I was hooked! When I was 7 or 8 I was walking through the Barnes and Nible of our local mall. I made my way to the horror/sci-fi/fantasy section as I always did. Then the craziest covers caught my eye. Eight Lovecraft books with deliciously disturbing artwork on their covers. I grabbed one, ran over to my dad, pleading. He just looked at the book, sighed, “are you sure?” I quickly nod yes. I proceed to spend the next couple months battling through the thick text, but I end up victorious, and I’ve been weird ever since. I was in middle school, surfing my favorite site for classic sci fi and fantasy literature. I had just finished reading Mary Shelley’s Frankenstein and ran into The Call of Cthulhu. I was in love from the first paragraph. Lovecraft has been my favorite author since. I was in my early teens and the newspaper would post famous people’s birthdays. Since mine is also August 20th, I thought, “hmmm…who’s this HP Lovecraft guy? ” A quick trip to my corner used bookstore and I was hooked. Incidentally, it’s also Robert Plant’s birthday (as the newspaper mentioned after HPL) Discovered Zeppelin the same day. Greatest day EVER!!!! When i was a kid I got a hold of Shadow over Innsmouth. Been hooked ever since. I got a hard cover copy of all His works two Mother’s day ago. Unexpectedly, and to my great horror and surprise, I discovered HPL in my dreams..
Found it because I love all things horror. I cannot pinpoint when and where I found it. It is as if has always been a part of me. I first heard of him reading the Stephen King short story “Crouch End”. At the end the heroine passes by warehouses named things like NYARLATHOTEP and YOG SOTHOTH. I can’t remember if it was in his own notes at the end of the book or if I read it somewhere else, but he said he hoped Lovecraft fans would get the references, and because I’m a naturally curious fellow I did a bit of research and discovered for myself the dark wonders of the Cthulhu mythos and elder and outer gods etc etc. The rest, as they say, is history. I discovered Lovecraft as a teenager after listening to Metallica’s ‘Call of Ktulu’. I enjoy it so much that I decided to check out the story which the song is based on. I discovered Lovecraft like most everyone else as a teenager. The way he wrote some of his stories in the first person was something that up onto that point I had never experienced before. I fell in love with the idea of cosmic horror, it inspired me to add a touch of it to my DnD games at first and now it has inspired me to start my own writing career. I’ve only delved into “In the mountains of madness” but would love to read more things lovecraftian. so much of it seems amazing yet I’ve heard some of them can be very dry. almost a chore. I could never seeing reading any book a chore and can’t wait to devour the rest of his books. 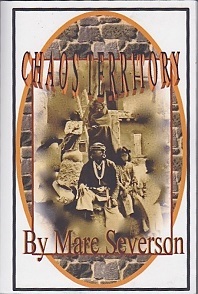 I stumbled upon Charles Dexter Ward while looking for public domain authors of old. I immediately liked his style of the first paragraphs but I skipped that story for At the Mountains of Madness. Oh wow why didn’t I look into this Lovecraft chap earlier? The “Call of Cthulu” roleplaying game in college… 24 years ago! I share my birthday with HPL! I’m old enough now I keep trying to celebrate his birthday instead of mine, but the family isn’t convinced. I was lucky enough to have found Lovecraft by accident. I was a young fantasy reader when I realized I was getting more interested in the bad guys than the cookie-cutter good guys. So, I went to my local Walden Books (remember those?!) and went to the horror section. Up front on the shelf was a great cover that drew me in – it was The Best of H.P. Lovecraft: Bloodcurdling Tales of Horror and the Macabre. Michael Whelan’s awesome cover drew me in and the back cover text convinced me. I’ve been hooked ever since I opened that book. I read “The Colour Out of Space” many, many… many years ago. I hate to say it but Facebook noticed me talking about a SeaMonkey tank I had redecorated to look “Lovecraftian” and popped up the ad. Of course I jumped on it. I was in the Army and stationed at Fort Carson Colorado and on the weekends I would take the bus downtown, (Colorado Springs), where I would frequent Colorado Comics. That is where I ran across those paperbacks that had covers by Michael Whelan. I loved the covers and bought one of the books. I first discovered Lovecraft when I was about 16 and I was first getting into Dungeons and Dragons and the Illuthid caught my attention. So logically I had to dig deeper. Lo and behold I found a plethora of fantastically dark creatures and stories to fuel my imagination for a lifetime. I discovered Lovecraft through Sandy Peterson’s Lovecraft rpg. Afterwards I couldn’t get enough Lovecraft stories to read! Happy birthday master! I went in providence last week on your grave and saw your house! Ya ya! I was a big Robert E. Howard fan (Conan, Solomon Kane, King Kull, etc.). I had heard that he was a friend of someone called H.P. Lovecraft who also was an author. I looked around and found a collection of strories with a fantastic cover by Michael Whelan. with in a few pages I was hooked. I came to HPL late, around 23yrs old. About 5 years ago Cthulhu appeared on an episode of South Park, & looked him up. Soon became obsessed! I discovered when I was 13 and a friend introduced me to a copy of the Simon edition of the Necronomicon and told me the story of the mad arab. I started researching the book and of course found HPL. The rest is history. I got my first small dose of Lovecraft watching the evil dead. Though I’d heard his name since I was a little kid, I discovered Lovecraft through renting the VHS tapes of Re-Animator & From Beyond with my girlfriend back in 1987 and then read The Call of Cthulhu in David G. Hartwell’s magnificent anthology, The Dark Descent the same year and found a lifetime love for his craft from then until forevermore. And who wouldn’t want to read a few Lovecratian sonnets or maybe a sestina — they certainly qualify as horrific! I found that I had been enjoying Lovecraftian tales mostly through King’s writing (and subsequent movie genre’s) and not really knowing about it until about ’95 when I found HPL’s collection. And then I thought — that crazy King’s been borrowing from HPL quite a bit, it would seem. Then about four years ago, Mike L practically insist I offer up an HPL tale of my own, which I’ve done. 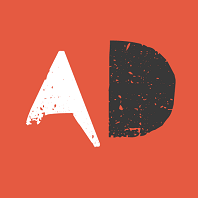 I dig this site, though I confess to not being an aficionado. One of my favorite posts thus far was the “Quatermine (sp) and The Pit” [cue sinister music]. great stuff, keep ’em coming. In my youth (!?!) There was a musical group named “H.P. Lovecraft”. Now at that time, there were groups popping up everywhere, all the time, but the name drew me, and their only hit was called “The White Ship”. Bought the album-yes, vinal, showing my age- and after reading the blurb on the back about how they picked their name, I went out looking for books. My first Lovecraft Arkham House hardback edition was $3.95 and that was a lot at the time. Needless to say, I’ve read everything and bought various edition since then, still reread. Found a paperback Necronomicon back in mid early 80s during my everything-D&D phase…it was on after that! Back in Junior High a friend shared his copy of Simon’s Necronomicon with me and another friend introduced me to the Call Of Cthulhu RPG. Soon after I started buying the Del Rey Lovecraft paperbacks. I’m on the record as to how I stumbled into discovering cosmic horror. 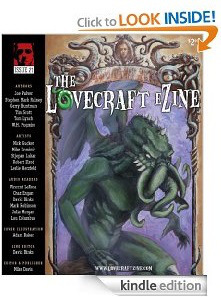 What amazes me is how I continue to discover the genre, through the efforts of publications like Lovecraft eZine. This is an amazing time to be a fan of weird fiction. Found HPL within a bunch of reading in the mid-sixties. Got immediately hooked. Still am, even though I’m a sinker. I grew up in the Bible belt–North Alabama–and there were always whispers, wives tales, and such from parents, and classmates regarding all things secular. “Ozzy bites the heads off bats, and worships Satan!” “Edgar Allen Poe married his niece and did opium!” At the age of twelve, I became obsessed with Ozzy and Poe. My frequent trips to the library for books about or by Poe(and Stephen King etc.) led a librarian to recommend Blood Curdling Tales of Horror and The Macabre by H.P. Lovecraft(from Del Ray)that began my journey. I played in bands, and the Lovecraft influence is undeniable in metal. Became a writer, and it’s absolutely undeniable. And Lovecraft will always be a source of inspiration, and a fountain for nostalgia as I think of lonely nights as an alien youth. I heard about him in college and bought the 1970 Beagle paperback of “The Tomb” as a new book in a mall bookstore. The eyeball-in-a-skull cover photo freaked me out so badly I covered up the image with masking tape. I no longer have that copy, but do have another of the same edition, and it doesn’t scare me any more. HPL’s fiction was an immediate influence on my writing. Happy Birthday, Grandpa Theobald! I came across a copy of The Dunwich Horror in a truckstop when I was around 12. Immediately hooked. I first found out who Lovecraft is from south park actually, the 3 part episode with Cthulhu made me curious so I did research. And naturally I ended up seeking out his work. The first story I read was the Tomb and I loved it. Which lead me to other works by him. Poking through the dusty tomes of the forbidden section of our school I came upon a tattered nameless volume within whose Ieaves my eyes lit upon the indescribable tale of ‘The Colour out of Space’ writ by one HPL. Back in the late 90’s I used to play Dungeons & Dragons with some friends. They had discovered H. P. Lovecraft while in college. They knew that I loved horror and was a big fan of Edgar Allen Poe, so they suggested I read some of his work. At the same time I watched a film called The Resurrected which was based on The Case of Charles Dexter Ward. I loved the movie and decided to read some of his stories. I have been hooked on Lovecraftian horror ever since. 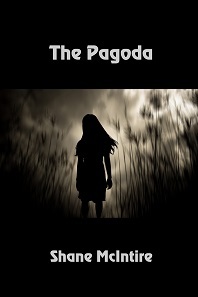 A horror anthology from the book club at school. “At the Mountains of Madness” was my first story (5th grade?) followed by “The Dunwich Horror” from another anthology book from the same place. 1976 I believe. Back in 5th grade I got a horror anthology from one of our school book clubs. Remember those? “At the Mountains of Madness” was my first Lovecraft tale. I thought more on this since my first post and I remember being fascinated by the Cthulhu Mythos pantheon in the Dungeons and Dragons RPG book Deities and Demigods. I used to read about the Old Ones in there and knew it was just a matter of time before I read Lovecraft’s books. I was reading Steven King in the late 70’s to 1980, just finished The Stand, Shining and I wanted to dig deeper into the horror genre so I read one of his narrations which also included texts of HP’s personal introduction into Supernatural in Horror, I couldn’t believe that it was written so long ago, it just flowed so smoothly. Of course I found some other great authors also, like Arthur Machen and I never turned back. I found lovecraftian horror through a paper back collected works edition with a great cover, that made me realise there was a name and a genre for something I’d loved my life but never realised. I read THE RATS IN THE WALLS in an anthology called THOSE FANTASTIC PULPS when I was 8. Much later, I read Stephen King’s JERUSALEM’S LOT as a high school junior, and recognized that he stole a lot of his stuff from HPL. As I was already a fan of King, this inspired me to read more Lovecraft. When I was a kid a relative gave me an old book published in 1944 called “Great Tales of Terror and the Supernatural”. In it was the Lovecraft story “The Rats in the Walls”. I read it and was hooked from then on. I hope I win! I discovered Lovecraft through the internet once and my first story was “The Outsider.” When I started dating my husband, he insisted I read more. It’s interesting because he used to draw Lovecraftian monsters long before he knew who Lovecraft was. For instance, we were going through some of his old drawings a couple weeks ago and found something he drew when he was a kid. It was a straight-up Yithian! Lovecraft is one of the very first memories of fiction I have. I’m not entirely sure how I ended up with an annotated anthology at the age of 9 but I did. I had parents that figured whatever I bought at the bookstore was kosher. I was lucky. I discovered Lovecraft probably around age 12 or 13. We were going on a trip and my father took me to the Library where they sold paperbacks for 10 – 50 cents. I picked out a copy of “At the Mountains of Madness and Other Tales of Terror.” I’d read plenty of horror up to this point, but nothing had ever been quite so powerful as Lovecraft’s distinct style. I was addicted right away! I learned of the Dreaming God from the Man of my Dreams (my hubby). I remember reading some of the short stories in the ’70s, then after some of the films and the RPG I started looking for more. I first heard of him from Harlan Ellison, at a lecture at Texas A&M in 1970. A couple of years later, while in advanced Army medical training, I found several anthologies of his stories at a local bookshop in King of Prussia, PA. Soon I was hooked, as were several of my barracks-mates to whom I passed them on. Though I’d seen The Re-Animator I knew nothing of H.P.L. really, until I stumbled across a paperback copy of At The Mountains of Madness and Other Tales of Terror at a local bookstore that I truly learned of his work. I still have that copy, even if the cover is falling off from having read it so many times. Hey, Mike, THIS SHOWS HOW MUCH WE LOVE THE EZINE! I heard initially about Lovecraft when I got the Lovecraft and Witchearts album by Cradle of Filth in middle school but I didn’t know who he was then. Later, in my senior year of high school, I worked at the Renaissance Faire and sold, amongst other things, a Cthulhu neck piece and heard it was from these stories by H.P. Lovecraft. I still didn’t know who he was. 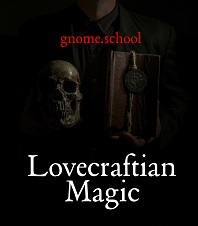 Later, I read the Necronomicon and the Grimoire of the Necronomicon by Donald Tyson… and still didn’t know who Lovecraft was. It wasn’t until 3 years ago when I met my boyfriend did I know who he was, when he gifted me the 3 penguin book series of Lovecraft’s fiction. In High School I bought “Bloodcurdling Tales of Horror and the Macabre” with the super scary cover that featured a nasty tree and an eyeball in the sky. I was quickly hooked. I was fifteen and he was mentioned by King at the end of a short story collection. He was the most amazing writer I’d encountered up to that point. I ordered a couple of his books from Amazon and I’ve never been the same since, in a good way. He made me want to be a writer and stirred my imagination. Happy Birthday Lovecraft! I discovered HPL through the garish covers of the 1980s paperbacks. I found a copy in a used bookstore, and wow… The bone-white bodies on the black backgrounds — and all the eyes! And then I read the stories and was hooked. Somehow he captured the cosmos in the words. I had heard of Lovecraft mostly because of CoC but didn’t read anything of his until finding the Del Rey collections with the Michael Whelan covers. Love Whelan so thought I’d give it a shot and its been an addiction for everything Lovecraftian since. I first read the Dunwich Horror a long time ago when I was a teenager and was hooked. The words he used to describe the towns, houses and people were none that I had heard of before so introduced me not only to brand new vocabulary with words like gibbous, eldritch, stygian but a whole new mythos of CthulhuI. Welcome to a brand new world!! For me, it was some combination of CoC and the Whelan covers. I can’t quite recall which came first. I think I was also reading Howard’s Conan stories for the first time around the same time. I discovered HPL when I was 15 years old, in the library of my school. The short story which has really blow my mind was “The nameless city” (included in a french collection published, named with the title of another short story included too: “The outsider”. Then I read a lot of other pieces of work by HPL and another one, among a lot of oeuvres, which still one of my favorite is “The lurking fear”, I really enjoyed the HPL’s way to introduce the horror of genetic evolution for a family’s members, living in self-sufficiency. And the myth! 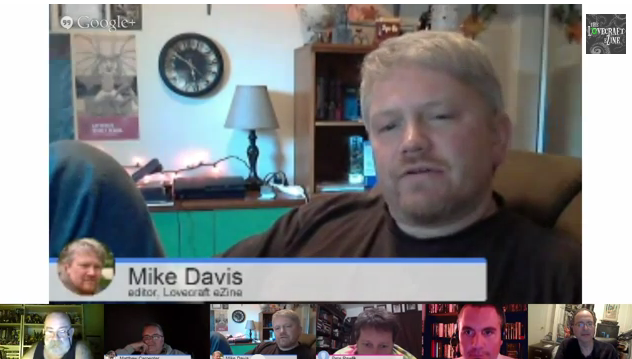 Speaking about HPL without noticed “The Cthulhu’s mythos”! What a work, what a great piece of work! With so much contributors past and present, and peoples still working on it, keep it alive and nourishing him! Nobody introduced me to Lovecraft, I discovered him with a great luck, just by a book on a bookshelf. I’ll never regret to have open this book and in the same time opened my mind to HPL’s work, his univers, his imagination and his fear! I once wrote a short story about giant albino lobsters that lived under the fells of the English countryside….i was told it was ‘Lovecraftian’ so decided to check his work out. I never looked back. I discovered Lovecraft and Robert Howard pretty much around the same time, during the big paperback boom of the early seventies. Happy days! Back in High School I first found I think it was The Dunwich Horror. Read it from the library, found what others I could. Eventually read most of his, tons of Lumley, Derleth, Carter, etc. Then found CoC about the 3rd Edition ( I already had Mythos elements in my gaming anyways) and never have looked back. Discovered him on a recomendation by my school librarian while reading Poe. I started reading Lovecraft after reading Maupassant’s The Horla. I had this old cracked yellow book that had The Rats in the Walls by Lovecraft as well as The aforementioned Maupassant. It also included The King in Yellow. I was forever changed that wonderful summer, I still think about the feeling I had knowing others saw things the way I did, ghosts around every dark corner, creatures in the sewers below my feet as I cruised through the city in 90° weather. It began my lifelong love of all things horror. Thank you Lovecraft, wherever you are. I am sure you are somewhere bending time and physics with your literary genius in an astral state of magnificence. Happy birthday!! I was 16, and played role playing games for 3 years, all games were about our modern society, and I heard about a strange dark world in the 1900’s… I was interested in this world, because it was very different of all the other, and very dark and I love darkness! A few years later I had the chance to play at Cthulhu and it was wanderfull! loved it! and so He came into my life!! Thank you for your work to keep his ideas live again! Best. My mother is a literature professor, so my home was always full of libraries and books everywhere. When I was a kid, I liked to grab any book and start reading. Between those books I found The Dunwich Horror and that was my first encounter with Lovecraft. When I was 15 & visiting relatives in Seattle, I walked into a used bookshop. The woman at the counter started speaking what appeared at the time to be poetry or the ramblings of a schizophrenic. She then reccomended H.P. Lovecraft, she had a feeling I’d appreciate his work. The quote, I later learned & came to love, was “That which is not dead does eternal lie, yet with strange aeons even death may die”. I discovered Lovecraft my 14th summer in a collection of short stories. The book was a cracked and sickly yellow but it held such wonders from Lovecraft’s Rats in the Walls to The Horla by Maupassant. Even The King in Yellow and the Yellow Wallpaper where held therein. I remember the feeling I had that others saw the world like me, ghosts around every dark corner , monsters below the pavement lurking in the sewers as I rushed overhead on my bicycle in 90° heat. This book became a doorway to other greats The Call of Cthulhu , Barkers The Damnation Game, TED Kliens Dark Gods. I was forever changed and sometimes I think the writing Lovecraft did might be the true Necromonicon with his ability to completely alters ones perception of time and space with just words. Happy Birthday to the greatest horror writer to come out of the 20th century. I’m sure you’re jumping through realities and flying through astral planes as we speak. Discovered Lovecraft in my freshman year at college. I had three hours to kill between classes and a thunder storm drove me into the basement of the campus library. Not being a studious type, I walked through the stacks of fiction and selected a Lovecraft collection because it had an interesting cover. I read “The Dunwich Horror” in one spellbinding sitting and have been hooked for life typing this 45 years later! I couldn’t deal with grad school without my weekly, sometimes daily, doses of Lovecraft and Laird Barron. I think college and weird fiction go together. Sarah W.
I first found Lovecraft after discovering a dusty tome in my ex father-in-law’s house. It led me to a world I thought only I had perceived…. Discovered Lovecraft when I storytelled my first Call of Cthulhu game in my first year of high school. It lokked much more like D&D than CoC, but later I discovered how to create more interresting story and I read all the writings of Lovecraft (including the ptotocopy of his chaotic-cthonic hand-writings in Providence). I found it by liking different pages on Facebook. I’ve always enjoyed his writing so just kind of happened. I used to pick up RPG’s in a used box at my local bookstore, well, I happen to get a rule book for Call of Cthulhu and loved it. I was 13. Then I began reading about all the mythos depicted and found HPL. I am very thankful for this, Lovecraft inspired me to create my own paracosm with my own creatures. In high school I really liked our Sociology class, the teacher went to school with Gary Gygax (TSR founder) and the last half of the class was us being divided into 6 groups and each person had a role to developing our society. It was like playing a role-playing game, as the teacher had a list of plants and minerals and what each one did, he would roll dice sometimes when we found a poison or a “population booster” to see how many of our clan died or how much our clan grew. The game ended in war, some clans gaining nuclear power, some still stuck in the stone age. Anyways, I was the creator of our theology and my teacher was impressed with the gods I created. I discovered HPL through other horror writers and the Call of Cthulhu rpg. Once I started getting a taste of his mind-bending realities, I just had to start reading his great works. I discovered lovecraftian horror through a lost lover that I will never forget. 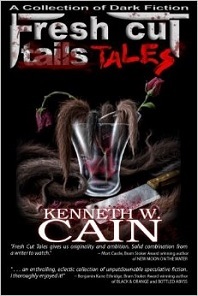 Not only have the tales haunted my thoughts but they have inspired me to write some of my own. Sometime during my youth I picked up a used copy of an anthology of short horror fiction called Horrors Unknown. The very first story of the anthology is a round-robin called “The Challenge From Beyond” in which Lovecraft wrote part 3 of the story. That anthology turned me onto Lovecraft and Ray Bradbury. I still have the same copy. I came upon H.P. Lovecraft during a Philosophy of Literature with an emphasis on Horror class at Santa Monica College. I first read “At the Mountains of Madness,” and from there I was hooked and have read “The Call of Cthulhu,” and most of his stories! Inquest magazine actually. They had an article on the Call of Cthulhu rpg. I had only ever played D&D so I was intrigued by the game. I’ve always enjoyed horror and mythology so I started to delve deeper into Lovecraft. I picked up the 5.5 edition and that is where I found the book titles. The quotes for each monster was very helpful. I only remember finding a book that scared me so badly that I had to put it down and get my fear under control. Don’t remember much of it now and it is lost to me, but have been in love ever since. Then I found ya’ll. Now I am just in HOG HEAVEN. Ahh, this is LIFE! Oh yes, HAPPY BIRTHDAY HPL! I think I was 14 and I found an omnibus in a discount book store. I was too scared to sleep that night and my life was changed forever. Of course I then proceeded to collect and devour the entire output of HPL after that. Happy Birthday to my favorite horror writer! 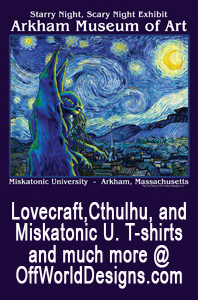 And kudos for the awesome Lovecraft E-Zine. Missed the “How did you discover Lovecraft” part. I don’t remember how I HEARD about Lovecraft, but there was a lady that drove the Bookmobile that came near my house once a month and I asked her if she had any books by H.P. Lovecraft. She didn’t. But the next time she came she had 3 or maybe 4. It was the editions from the early 80’s with the super creepy artwork on the covers. She had At the Mountains of Madness, The Dream Quest of Unknown Kadath and (I think) the Shadow over Insmouth. I was hooked. Games Workshop’s UK hardcover of Call of Cthulhu was my intro, followed by the very horrificly covered Grafton paperbacks of the 80’s. Many years later and many books later.. Recommended to me by a well-read friend while in college. Haven’t looked back since!